Are you searching for a private car service in Snoqualmie, Washington? We are one of the best luxury car rental services in the snoqualmie falls area. Our chauffeurs are friendly, skilled, and experienced. In fact, we strive to offer you the best luxury cars whether for business transportation or special occasion. Our expert drivers will take care of you while you are in Snoqualmie, Washington. Our service is comfortable and on-time. You can enjoy your trip in style in your chosen luxury vehicle while our experienced chauffeurs take you to your destination. Are you searching for a ride to or from the airport? Are you visiting Snoqualmie for the first time? If so, you don’t have to worry about a thing. Just get into your luxury car and become comfortable while our experienced drivers take you to your hotel or business event in style. Whatever your purpose in visiting Snoqualmie, you can count on us to offer you an outstanding and reliable transportation experience in Snoqualmie and its suburbs. If you want to go out in style, just hiring a luxury sedan would not be enough. Your special event may call for something special than our already outstanding luxury sedans. That’s where our luxury limousines come in handy. Whether you plan to travel alone, as a couple or a small group, our luxury limousine service is ideal for your needs. Why do you want to settle for second best when you can hire a luxury limousine and enjoy the special event in style, comfort, and prestige. Make sure you check the range of luxury limousines we offer. You will definitely be surprised with the quality of our luxury limousine rentals. Are you searching for an appropriate vehicle for your kid’s prom, bachelor or bachelorette party? Do you want the perfect vehicle for the couple that newly married? Our luxury limousines can grace any of these occasions in style and comfort. Our chauffeurs are professionally dressed, polite, on-time, and committed to serving you at all times. You can rest comfortably in your luxury limousine knowing that you have an experienced driver behind the wheel. Your safety and comfort are of prime importance to them at all times. You will come to know the difference between our service and our competition in the area as soon as you get into one of our luxury cars. Whenever you plan to visit Snoqualmie, we are here to take care of all your transportation needs in style and comfort. Out outstanding customer service has won us many accolades from the vast majority of our clients in the area. 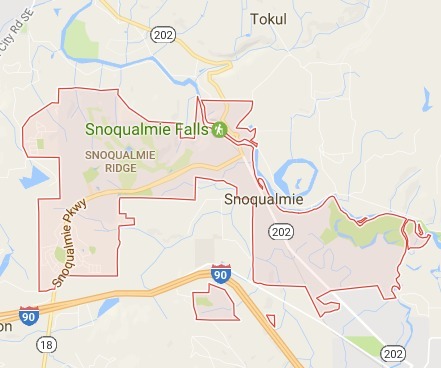 Make sure you contact us at least 24 hours ahead of your visit to Snoqualmie so that we can arrange the best possible car and chauffeur to take you around the town. If this is your first visit to Snoqualmie, the city has many surprises for you and your family. The city is nestled in the Cascade Mountains. You will find breathtaking sceneries like Snoqualmie Falls visiting the city from the airport. There are boundless recreational opportunities in the city. With the boutique style shops and quaint cafes in the city, you will not run out of dining options when you are in Snoqualmie. Whether you are in Snoqualmie for business or recreational purposes, we can offer you the best mode of transportation while you are in the city. Don’t be afraid to ask our local and knowledgeable drivers for whatever information you require about our beautiful city. There are many events in town that you would not want to miss if you have a little bit of free time. Our chauffeurs will help you find most of these events depending on your personal tastes. There is a lot to see and do while you are in Snoqualmie, Washington. Why not enjoy the city in luxury and style while you are in Snoqualmie? Call us right now for a free quotation for all your transportation requirements in Snoqualmie. We offer a quality service at an affordable price. Whatever your transportation requirements, we will fulfill all of them in style and comfort.